Time advances, so does technology. So although a lot of ideas are hovering in my mind and I have been updating myself with the happenings in the software world, I somehow could not find time to compose a blog entry and share my views. Work has kept me busy like never before. First and foremost, Google. Whew! These guys never stop (Yahoo, wake up!). Google released the Google Notebook some time back. I have been trying this for about a week now and it is quite satisfactory. Let me start with the pros and then go to the cons. The tool is a quickie. Clip it and click on Add Note and you are done. It cannot be simpler (unless they provide some keyboard shortcut like Ctrl-Shift-C to copy and paste in Google Notebook). You can add your own notes or edit existing ones. You can clip images too! The search is there as always (almost taken for granted when it is Google 🙂 ). It also allows us to make private notes or make notebooks public. The first is a security issue. As some people are mentioning, the ease of use of this tool may tempt users to clip private data from intranets and store it in Google&apos;s servers. And Google has the right to index it. It is not easy to relate articles. The best way to do this is to create a new section and put everything under it, but this will tire you soon. There is no export feature. This is a big threat. You start clipping things and you are tied to Google possibly forever! Ok, we now proceed to the next application Google released -> Google Co-op. 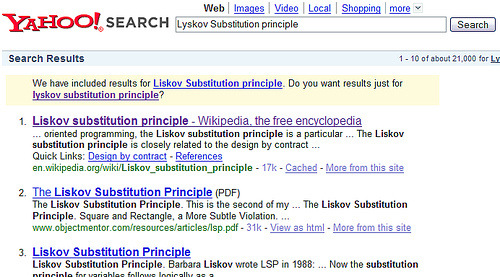 Google Co-op allows users to customize the search results that Google generates (does that sound like Eurekster Swicki?). The interesting feature here is the extensibility that Google provides in specifying topics of interest, the keywords, links etc. And what does Google get in return? Lots of meta-information. How nice it would be, if people give you a list of words that fall in a particular category? Google will definitely relish this! With the hopes that Google does not turn bad, let us enjoy the cool features that they provide and the competition that they face. Competition enables innovation and that is good news for end users. Some other things that I heard recently: People tagging in the enterprise. This reminds me of a discussion that I had with my mentor some time back. Let us suppose that I have a list of contacts in my Sametime list. How will I categorize these people? By their teams? Well, may be so. But someday, I would want to send a mail to all people who are active in some particular community. Or I would want to know the set of people who I have contacted for a particular purpose, which is not necessarily related to their present team. Now is it possible for me to get this view of the users? People tagging is all about this. Here is a paper from IBM that talks about people tagging in the enterprise. The concept is simple, but extremely powerful. 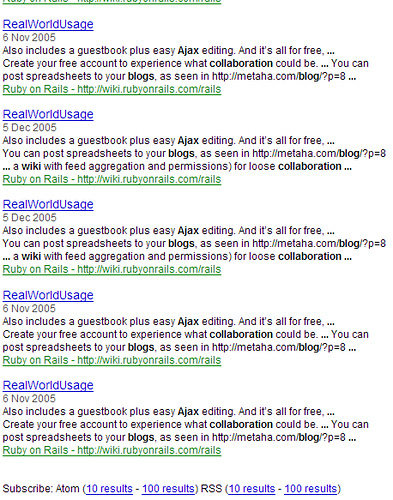 The idea is to tag people, the way you tag links in a bookmarking tool. Once you do that, you can find all people who belong to a particular tag. Tagging is central to almost all resources today and will soon form part of the filesystem. (Heard of semantic filesystems?). The line between the functions/services provided by the operating system and the services provided in the internet will diminish and will result in the emergence of the first generation of Web O/Ses. Soon, Web O/Ses will be THE O/Ses. A departing thought. Today I saw an alert in my mailbox that talked about the next generation web. Wonder where this article is from? Deccan Herald! I don&apos;t know how many of them noticed it, but this is news that the semantic web is catching on. The article talked about how Google threw unexpected results for (mostly technical) words that had more than one meaning and how semantic web can help solve this. in Google Blog Search and this is the result I got. The links in the search results differ only in their &apos;#&apos;, which means that they refer to the same page but different positions in the page. In blogs, is it a good idea to have such links or is a single result enough? You can check it in my blogspot page. I had recently blogged about privacy concerns with regard to storing data online. 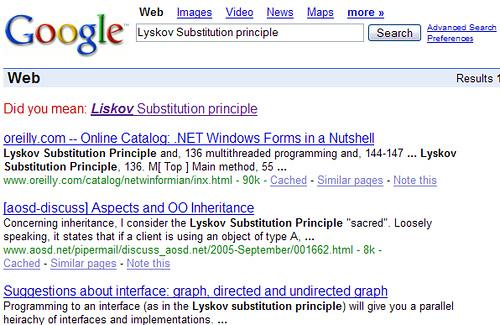 And this is what I found today: Do you trust Google? * Google providing personal data based on RFID tags. Pardon me for the title. I am not on either side of the balance. Let the law decide who is right and who is wrong. But this one really seems interesting. This is a continuation of the blog Patents – A boon or a bane, that I wrote recently. And this time it is to do with Copyrights. Without delaying any further let me tell you what I am talking about. I am talking about the Google Print lawsuit and all the hoopla around it. Google wants to digitize all the books in 3 major libraries of the world and many publishers don&apos;t want that to happen. And there is another take of the whole story. What is Google trying to do? Is it trying to grab the data (may be personal) of each and every person? (That is what sounds like the – Aim of Google). How will you feel if someone owns all your data? Is Google a silent killer? (At present it does not seem like one and this seems like a merciless extension of the Google story).